Place the salad ingredients into a large bowl and toss well. Drizzle salad dressing over the salad and toss well so the salad is lightly coated with dressing. Mandarins are one of our favourite Winter fruits, not only are they great to have as a snack but they add so much sweetness to a salad. This simple and colourful salad is refreshing served for lunch or dinner. 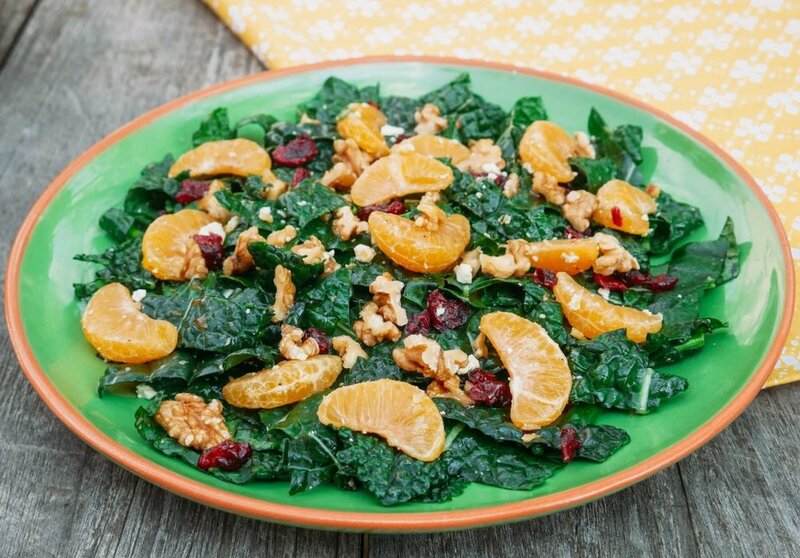 The mandarins and cranberries sweeten it and the kale and walnuts add crunch. The salad is topped with feta cheese and a mustard and honey dressing. Mandarins are high in vitamin C which helps to boost immunity and fight off those winter colds, make sure you are incorporating this fruit in your diet over the colder months. For more great mandarin recipes, tips and serving suggestions follow 5+ A Day on Facebook, Instagram and Twitter.